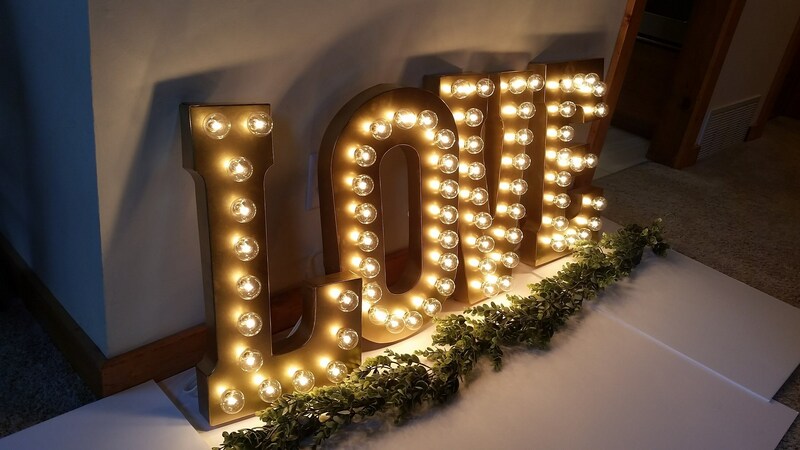 Perfect for your ceremony, reception AND your home after the wedding! 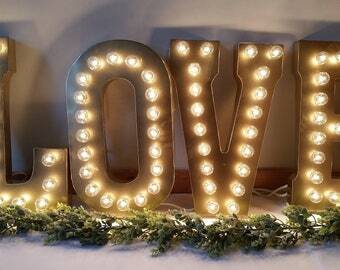 The color of these marquee letters are warm gold. 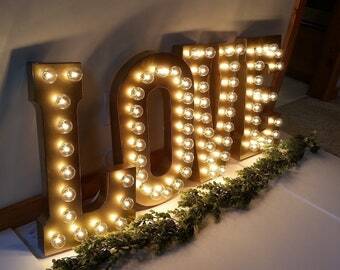 Letters are made out of real galvanized metal (not paper mache) with clear 1.5" diameter glass bulbs to give an authentic, warm glow. 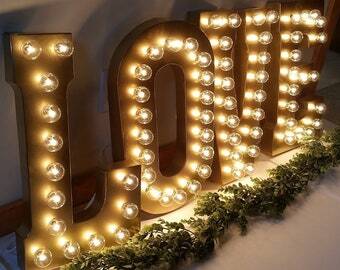 Our letters have holes precisely cut to hug and fit each bulb securely! All letters have hooks on the back for hanging or they can lean to help stand on their own. The letters have a 6 ft white cord to be plugged into a standard outlet. -UL approved wiring, C9 sockets, and G40 bulbs. 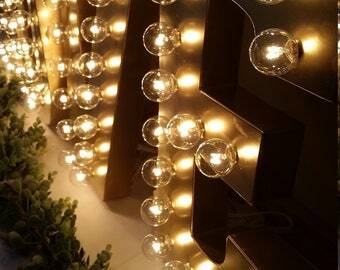 -Extra bulbs are included with each letter! -This listing is for ONE marquee letter. We are proud to serve you and ship internationally on a regular basis! If you run 220/240 volts in your homes/business, you will need a "Step Down Voltage Converter" to plug these lovely lights in! We love custom orders! Send me a message with your idea!